to the fatherless in Uganda. 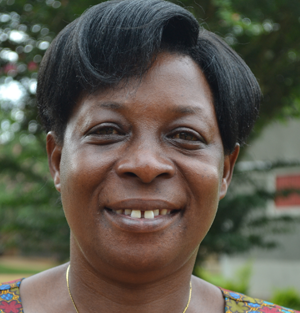 Senior Mother – Lydia supervises and counsels family mothers. She enjoys encouraging and supporting parents. Lydia grew up in a large family with 13 siblings. Now she is a single mom (widowed) and has 4 older children. Fred grew up in a large polygamous family and has 24 siblings total. Fred is now married to his wife Jesca and they have 4 biological children (soon to be five) and a niece who lives with them. Growing up, his family had more of a “free spirit” when it came to religion. They were versatile and not necessarily committed to a particular denomination. Even after university, when he began teaching at a school with faith-integration, but he “was not committed to the material”. Fred came to know Christ when he heard a message from a radio outreach ministry which resonated with him, and he ended up praying the confessional prayer. 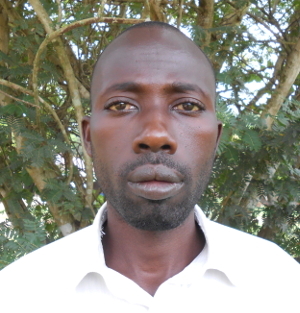 After accepting Christ, Uncle Fred began to grow in knowledge of Christ and the Bible. He developed a Biblical worldview rather than his previous worldview. He developed a passion and desire to share about God freely. Head of Childcare & Pacific Family Father – He enjoys the pastoral part of his work and he says “it is where you find my heart”. He enjoys talking and praying with various peoples about whatever he feels God has been placing on his heart. Isaac was born in a very large family with nine children total. His parents separated early on, but both his father and mother are still alive today. Now, Isaac is married to his wife Christine. They have 19 children total, 4 biological children and 15 as Pacific Family parents. 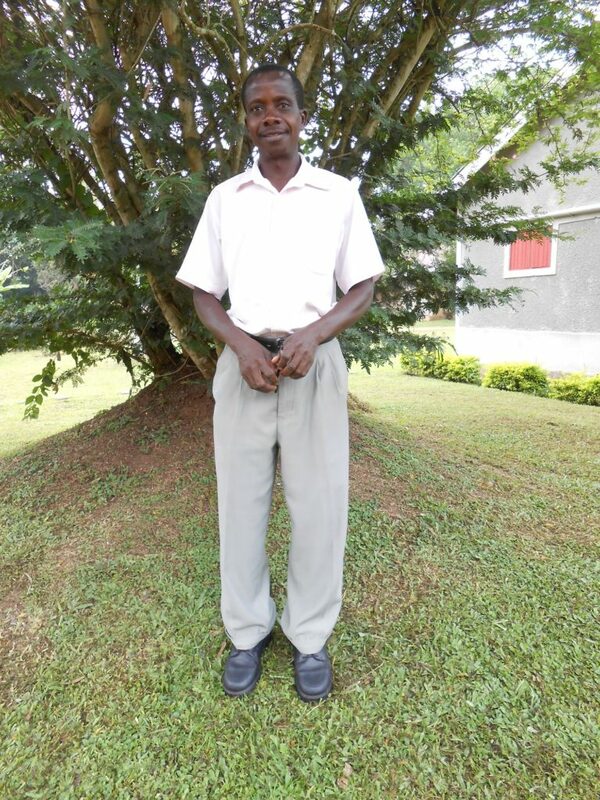 In 1993, Uncle Isaac was saved and entered into a relationship with the Lord, and has been growing ever since. Meeting his biological father was a crucial step in developing his relationship with Christ, because his heart was settled and he began to transfer the understanding of a relationship with his earthly father to a relationship with his heavenly Father. He began to feel a peace and joy which was evident to those around him. In 1996, while he was still very young, he was given the opportunity to pastor a church; his faith grew very much during this time and he could see that God was speaking through and using him within this church. He learned to read and develop a desire for the Scriptures. As he grew in leadership, he also grew in the peace that comes from knowing the Lord. 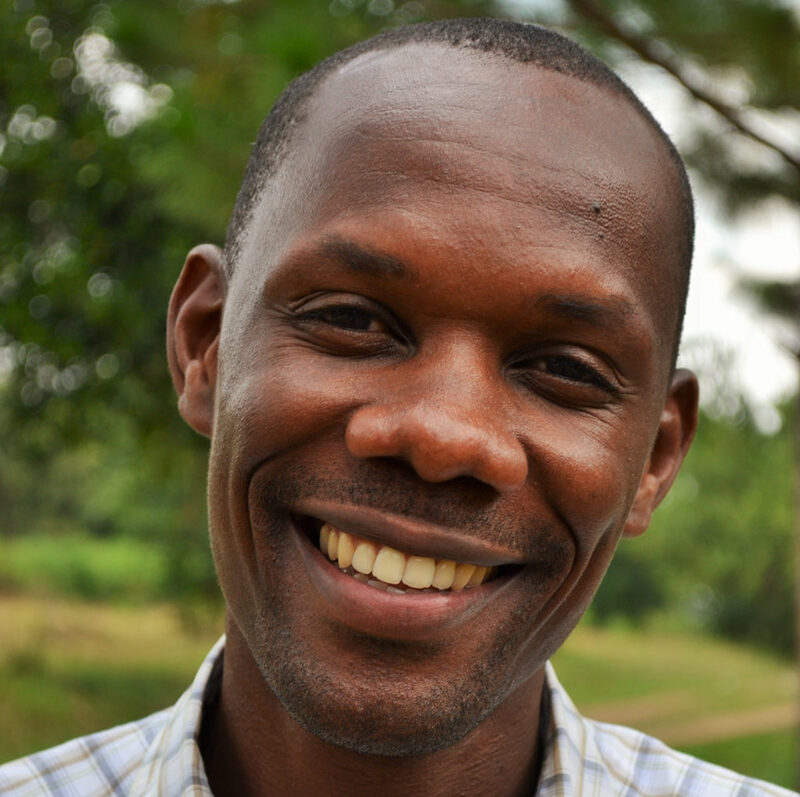 Primary School Teacher and David Family Associate Parent- Uncle Clive’s roles include teaching, parenting, mentoring, counseling, and speaking into the lives of those with whom he interacts. He enjoys his career and his responsibilities. He also enjoys playing soccer with the children and interacting with them on and off the field. Uncle Clive’s father died when he was one and he was raised by a single mother. He has eight siblings, but one died and one was declared missing many years ago. Their family had struggles and life was challenging, but his mother was strong and supported the family. He says “she did her best given the circumstances”. Uncle Clive is currently single and waiting for God to direct his future. His nieces and nephews are his dependents and he has three other children as well. Before coming to know the Lord, Uncle Clive was living a “risky life”. He was “seeking useless identity and popularity”. Growing up he attended an Anglican church, but he did not have a relationship with the Lord. “Christ was just a picture, not someone to believe in.” In 2007, he had what he describes as a demonic attack and he was taken to a prophet for healing. She shared with him about Christ and explained salvation to him. Uncle Clive accepted Christ during that time and has since been growing in relationship with the Lord and in his relationships with others. He has been “walking a straight path” and has developed a Christian perspective and worldview. He has also learned that hope, strength, courage, and grace are all attributes which are found in Christ. He has especially grown spiritually through lessons and studies with fellow staff members and through the Institute for Gospel Transformation at NHU. 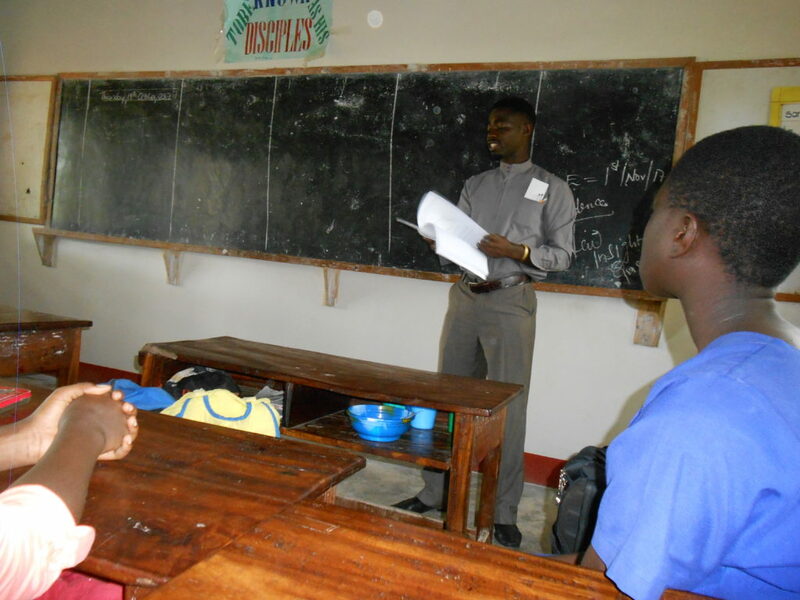 Primary School Teacher- Emmanuel is involved in parenting, mentoring, discipling, teaching, and counselling. He also does gardening with the children, and plays games with them. What he enjoys most is teaching the teenagers. 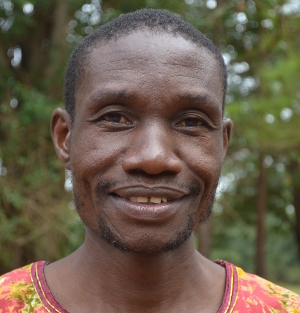 Emmanuel grew up with parents who were peasant farmers and had 10 children. Two of his siblings passed on. His brother died and left two children, whom he is taking care of, and his sister died of epilepsy. “She had an attack, and fell into fire, and died” he says. 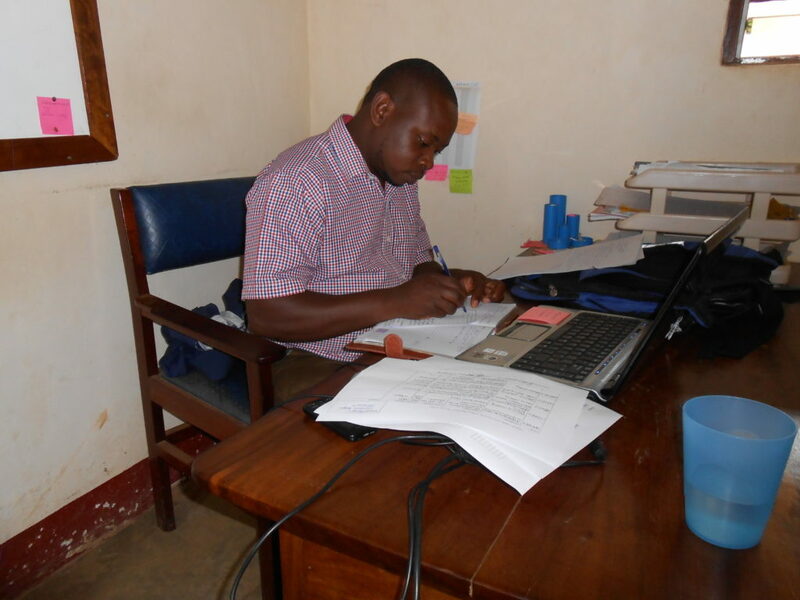 While he was in high school, his parents were not able to pay for his school fees, so he worked to contribute toward his education until he completed his grade 3 teacher training course. When he was a teenager he disliked church fellowships, even though he grew up in a Christian family. While in high school he spent most of his free time watching movies, and he began drinking alcohol and attending night clubs. 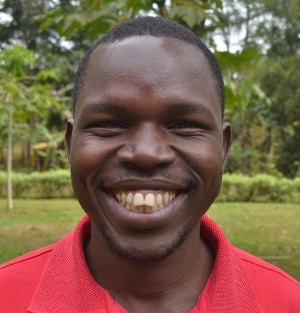 “I came to know the Lord as my Lord and Savior after joining New Hope Uganda family through the child care and family training course conducted by New Hope Uganda” he says.“My life has changed since then” he says with emphasis. 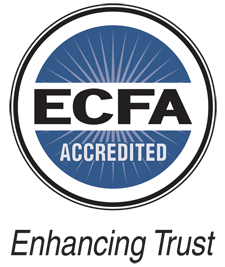 He is now more passionate about studying the word of God, engaging in Christian fellowship, and serving the Lord through childcare ministry. “I have grown in my walk with the Lord,” he says. 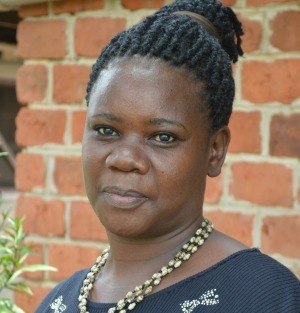 Human Resources/Personnel and School Manager at Musana Camps- Eva also helps with camper bookings, hosting campers/groups and food service. She enjoys Human resources most, because she loves working with people. Eva grew up in a Christian home, with her dad who was a pastor. Now Eva is married and she and her husband Med both serve the Lord at Musana Camps. God has blessed them with two kids. Because Eva’s dad was a pastor, hearing God’s word was very much a part of her life. She led a life that was good, doing good acts, until the time she made a personal decision to follow Christ. One night, at the age of 10, after their daily family devotions, she felt a strong sense of conviction to confess her sins and accept Jesus as her Lord and Savior. She did, and since then she has never turned back. Eva loves the Lord with all her heart. Eva has continued to grow in her Father -daughter relationship with God. She believes God is her Father, and that He loves her so dearly. She tries her best to have a daily time with Him, though she admits that this is a struggle, especially with two young boys and a family to take care of! However, she tries to go through the day seeking His will. Area Caretaker of Kiwoko- Francis carries out needs assessment for the homes and gives counsel to the children and their guardians, pointing them to Jesus as the Father of the fatherless. He enjoys making sure that all the children are known, cared for, and growing well. In addition, he enjoys reconciling children to their parents/guardians. Francis grew up with his father, since his parents were divorced. He had no relationship with his mother, until later on in his adult life. His Father cared for him completely, until he died during the war. His father left four children, and one of them died later after their father’s death. “I never knew about eternal life”, he says. All he knew was life here on earth, and he wanted to enjoy it to its fullest, and yet it led him nowhere. 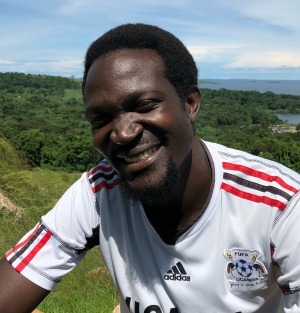 Then a group of Christians opened up a church in their village, organized a crusade and invited Christians from Kampala, who showed the Jesus film. That is when he came to learn about Jesus and how He died to take away his sins. This touched him, so he confessed his sins, accepted Jesus as his personal Savior and later got baptized. He also strongly believed in African traditions, until he went through the institute here at NHU. Francis has learned to put God at the center of his life and in whatever his does. His interpersonal relationships have also improved greatly. He now enjoys the Fatherhood of God and the brotherhood and sisterhood found in Him. Administrative Assistant- in this position he oversees transport, sites and the compound, does public relations, supervises the reception office and supports staff. Through all these leadership roles he is learning that God can use man to serve Him in many ways to reach His people. Richard’s father died during the bush war and his mother was taken alive by a group of soldiers when he was 2yrs old. A relative took care of him and his elder sister, until he went to live at New Hope. Richard could not believe it when he saw his mother again, after she escaped years later. All along he thought his mother had been killed by the soldiers. Richard is now married and they have 3 children, one who was born premature and died at the age of 2 weeks. They also care for their nephew. “Before I knew the Lord, I knew I was a total orphan, hopeless, homeless and I don’t remember how many times I went into tears” he says with emotion. Richard came to know the Lord through the parents at New Hope who used to comfort him, bring counsel, and preach the word to him. He didn’t change at once; this took some years. He confessed Jesus Christ as Lord and personal Savior in 1997, and since then he has never turned back. Richard shares that he has seen God doing miraculous things in his life since then. His spiritual life has changed. He has felt the Fatherhood of God, especially through the loving men and women around him here at NHU, who bring counsel into his life on a daily basis. Childcare Extension Head- his ministry is to reach out to children who come from the community. 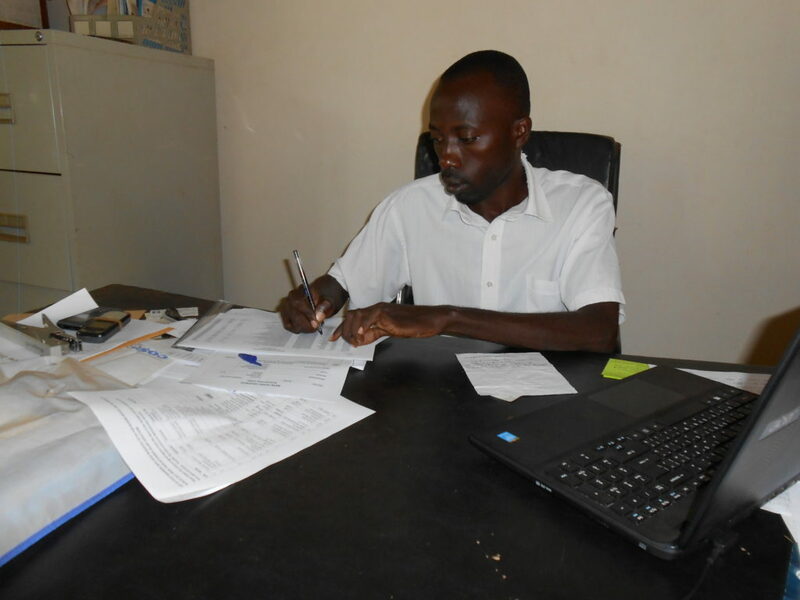 “Each day I assess current home situations for the children and I take the initiative to address their needs with the team that I lead”, he explains. 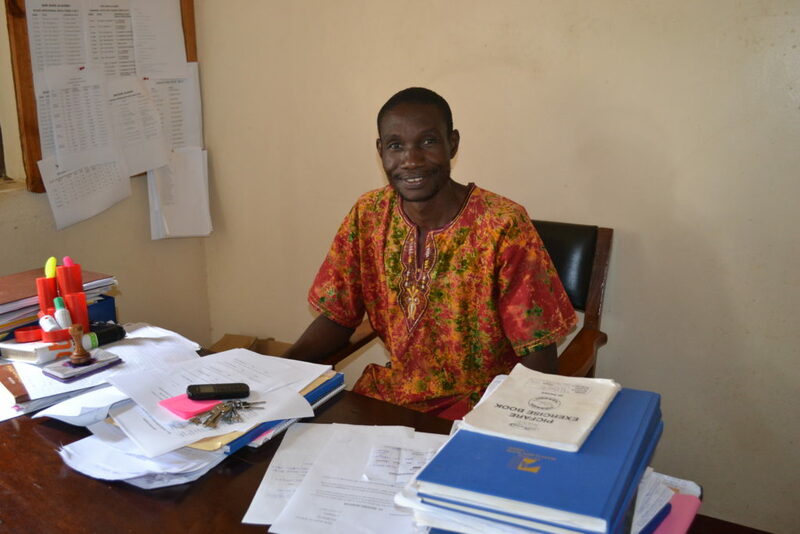 He enjoys building relationships in the community through visits and inviting people to his office. Rogers’ father abandoned his family when he was young and he was raised by his mom, until he was able to join NHU as a son. He has 6 full siblings and 13 half siblings. Rogers is married now, and the Lord has blessed them with one biological child. They also care for one of his sisters, who has become like daughter to them. One Wednesday night, after a good family devotion at New Hope, a brother in the Lord approached him and shared with him about life, and as he was sharing, Rogers felt convinced and this marked a turning point in his life. He then made a bold decision to accept Jesus as his personal Lord and Savior. 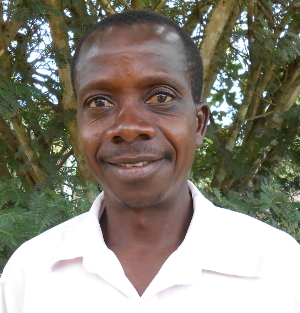 Rogers has seen the Lord work in his life and he has been greatly transformed. He used to not trust anyone, neither relate well with men, because of his experience with his biological father. Now he says, “I am living a free life with my Heavenly Father and He teaches me a lot each day.” He now has peace and freedom. 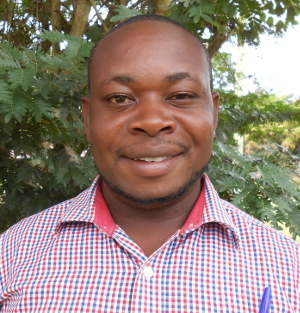 Director of Studies for New Hope Academy (Secondary School) – He has a passion for investing in the lives of children and one of his favorite parts of his job is the time he spends with the students! He has the privilege of pouring into the students he encounters and takes that opportunity to share with them, mentor them, and counsel them. Jospeh was raised mostly by his grandmother because his mother passed away when he was 6 years old. 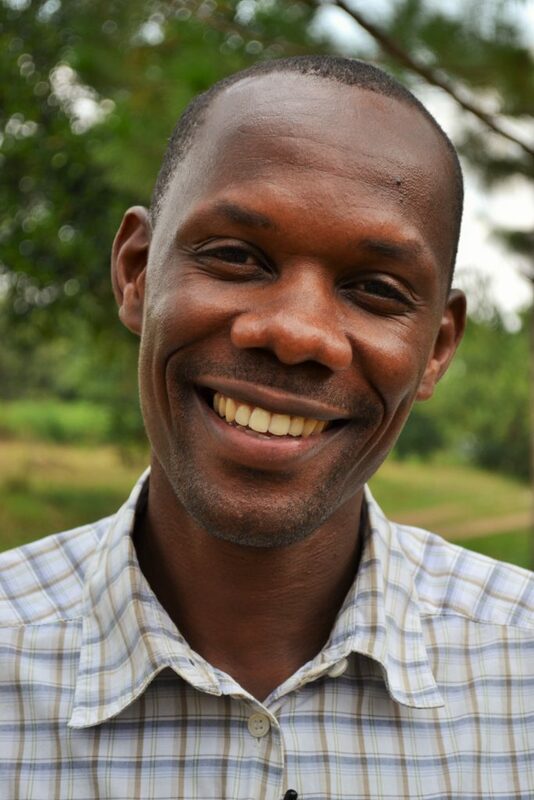 Now Joseph is single, but supports and ministers to many fatherless primary students in the community. 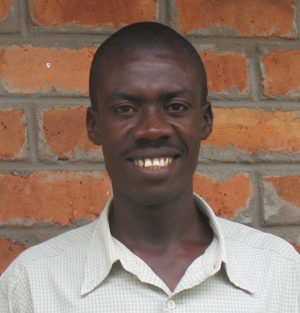 Musana Camp Programs & Community Liaison – He most enjoys leading groups through activities, hikes, and swimming. 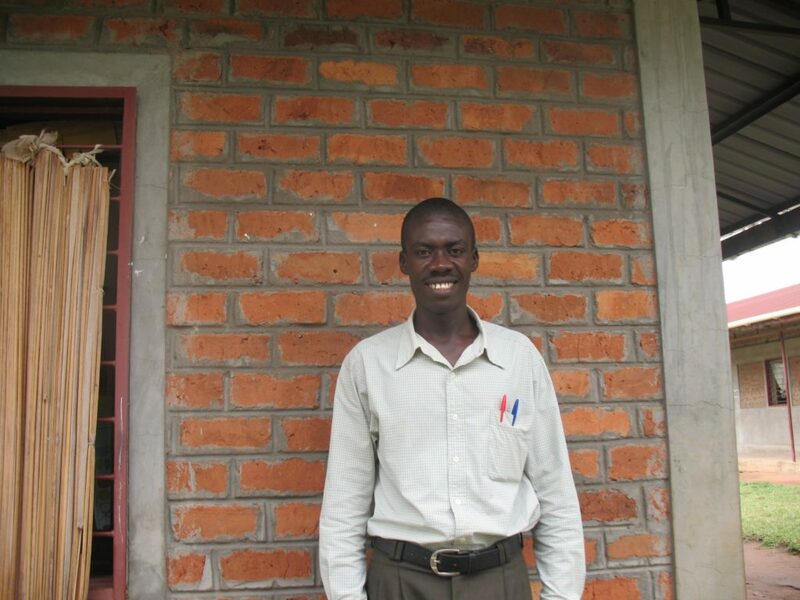 Mwanje was raised by his aunt who was a single mom and caring for many children. As a result, Mwanje was part of NHU’s sponsorship program as a child. Now Mwanje is single, but getting married soon. 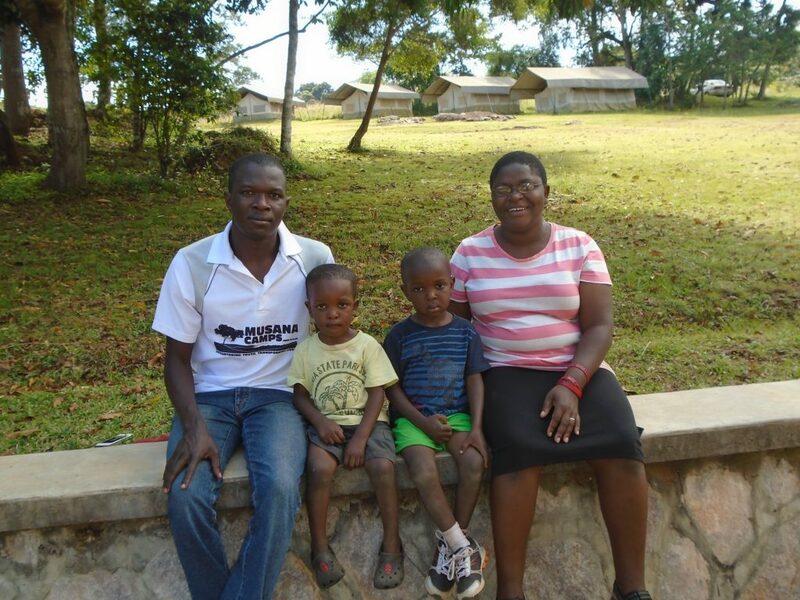 He also has several dependents including his mother, aunt, siblings, and orphans from the community. 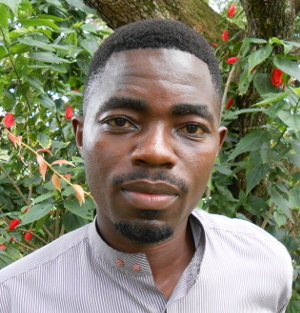 Mwanje grew up in a Christian environment. 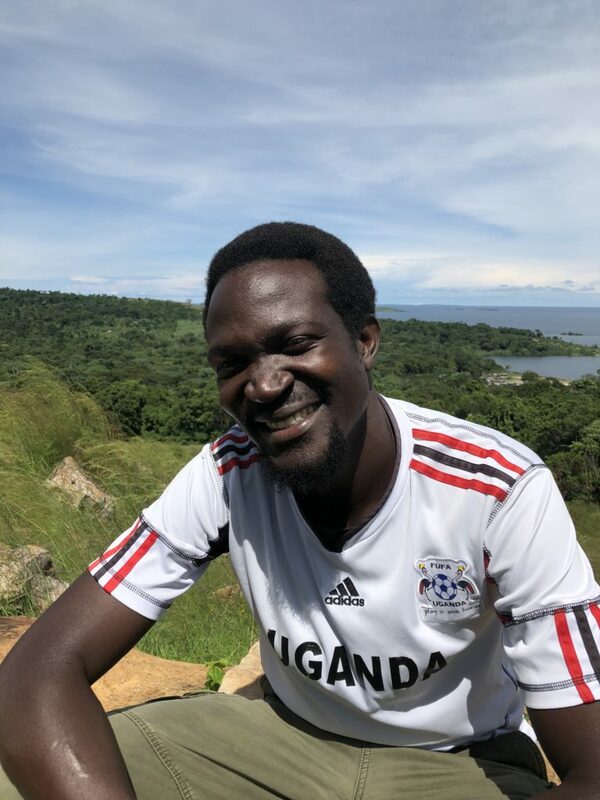 His aunt and uncle were Christians and he was also surrounded by God-fearing people at Kasana, but he did not know the Lord until he was 9 years old. An evangelist came to his home and talked with him. He was convicted of his sin, confessed, and accepted Jesus Christ as his Lord and Savior. Since then, Mwanje has seen the Lord protect, provide, and carry him through difficult situations. He also continues to be involved in NHU’s mentorship program which has helped him to grow spiritually to this day. His prayer requests are for his aunt who is very sickly and often hospitalized, for his future marriage, and for him to have a deeper wisdom and knowledge of God’s word. Guesthouse Cook – Olivia serves as a mentor to the ladies she works with; they call her “grandmother” and come to her for advice, counsel, prayer, and guidance. She enjoys blessing each of the ladies she works with and also enjoys cooking for visitors. Olivia grew up in a large family with twelve children. She lived with both parents until her mother’s death in 1993. Her father passed away shortly after in 1995. After her father died, her eldest brother became the caretaker. Now Olivia is widowed and has three sons along with a niece who is staying with them. 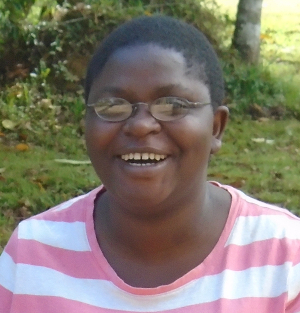 When Olivia was completing school for housekeeping, she was not saved and was not living a Christian lifestyle. She became pregnant outside of marriage and the father was not ready to introduce her to his family and so they did not marry. Her employers were very generous and allowed her to continue working through her pregnancy and with the baby. A few years later she and the baby’s father were married. Her husband passed away in 2011, which led their family into a time of trial and sadness. As challenging as this time was for her, Auntie Olivia began to see God’s hand and how He was working in her life and in her family. She began to realize that she did not need a husband because she could rely on God, and He is the only one she needs. 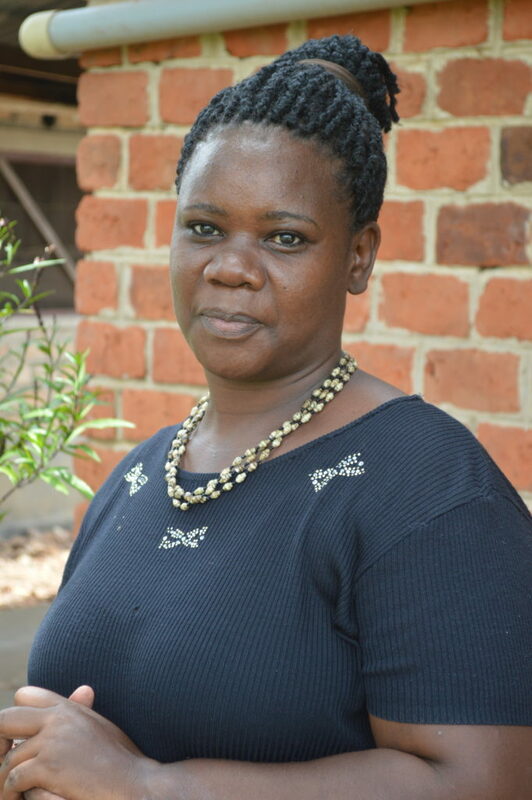 God continued to provide for Auntie Olivia and her family, and in October 2012, she received a call from a friend of her late husband, who offered her a job as a cook at the Kasana Guesthouse. 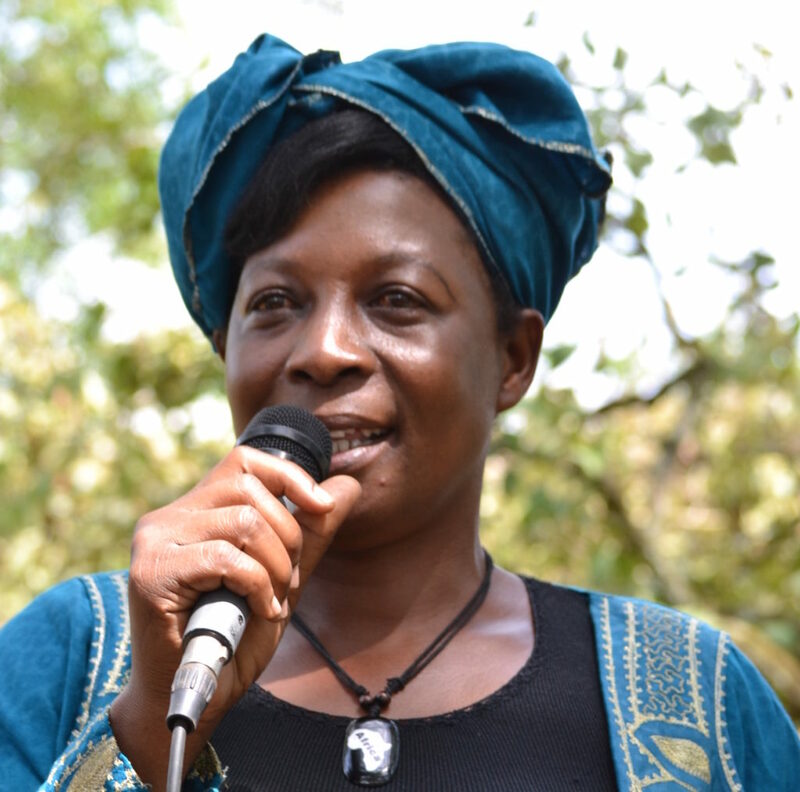 She brought her family to New Hope Uganda, and they began the next chapter of their lives.